The Third annual Chinese BloggerCon is underway and my what a sight to behold. Don’t worry if you don’t understand Chinese. Rebecca MacKinnon, who used to be the Beijing Bureau Chief for CNN, will probably post her thoughts on it since she has in the past and John Kennedy, the Chinese language editor for Global voices, is live blogging the event. What’s interesting about this event is that it’s much more than about blogging itself. Blogging is great, but in China where speech is censored and there are people that are trying to speak out on this, that, or another thing, this event is really about how the technology has empowered regular people the ability to move forward. Just take a look at the technology in itself. This event even showcases the talent behind China’s equivalents to our Internet fads. For example, Fanfou is the Chinese equivalent to Twitter. Apparently many people in China actually post direct from mobiles. Baidu is the Google of China even though Google has a presence there. You could go on and on. This only barely scratches the surface from a perspective of how the Internet and technology is advancing both Chinese thought and journalistic aspects. Funny that not only is this event getting a lot of love in China, but friends on this side of the Pacific like Robert Scoble is wishing he was there. And I totally understand the sentiment. 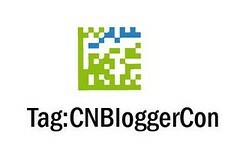 Sometimes you just want to be at events that are changing the world, of which CnBloggercon is sure to do.